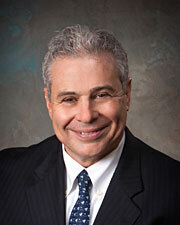 Dr. Dowling is the founding partner of Long Island Spine Specialists. He is a Board Certified Orthopaedic Spine Surgeon with extensive fellowship training in spinal disorders and neurosurgery. He is known for his perseverance and commitment to the best possible outcome for his patients by using conservative methods and surgical treatment when indicated. Dr. Dowling is on the Board of Directors of the New York State Society of Orthopaedic Surgeons and the Catholic Health Services of Long Island. He holds appointments in healthcare and community organizations, lectures both nationally and internationally and has authored numerous articles and book chapters in professional publications.